For over 13 years, our team of specialist caseworkers have fought for people trying to navigate the maze of NHS continuing healthcare funding. We have won over £8million in restitution for our clients, with a success rate of over 70% in cases brought to appeal. We’re proud that, in addition to our paid-for casework, we provide free honest and ethical advice and information to hundreds of patients and families every week. Continuing healthcare is a really complex area. That’s why our expert team of advisors and caseworkers are all highly trained professionals who work solely in this area. 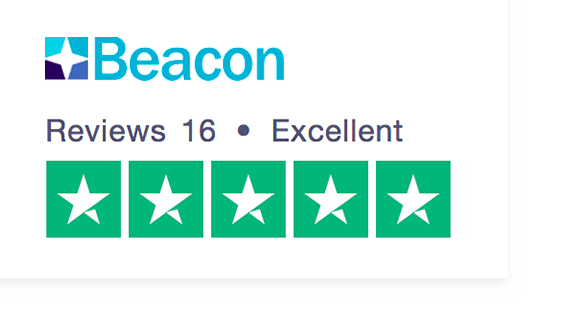 With Beacon you will receive exceptional customer service, because we care. Our clients report a 96% satisfaction rate between ‘Good’ and ‘Excellent’, including cases where a client’s appeal was unsuccessful. Read what clients say about us here, and on Trustpilot. Beacon is not a claims firm and we do not operate on a ‘no win, no fee’ basis where you may run the risk of losing up to half of any restitution. We have a transparent, affordable, pricing structure for our chargeable work. Our fees are a fraction of many claims firms. We are a social enterprise, which means we’re not run for profit. Any profits we do make are donated to charity to improve services for older people. Our aim is to ensure that every individual with ongoing care needs receives fair, in-depth and independent advice about every aspect of the NHS continuing healthcare process and criteria. We firmly believe that understanding the system empowers people to make informed choices that are in their best interests. So, we don’t just recite what’s in the guidelines, we tell you how it actually works, what your rights are and how to make sure you receive the care and financial support you are entitled to. If you wish, we can represent you at a continuing healthcare assessment and – if you want to challenge the decision – we can manage your case through the entire appeal process. Beyond our work with families and patients, we use our expertise to help improve the imperfect continuing healthcare system. We train NHS professionals, and we challenge poor practice where it is identified. We are the chosen supplier for England’s first independent NHS continuing healthcare information and advice service, commissioned by the NHS England themselves. But rest assured that we remain staunchly independent. Beacon evolved from a service offered by Age UK Oxfordshire. In 2014 we became a UK-wide social enterprise, with our profits donated to charity for older peoples’ services. We are the only continuing healthcare support service that is endorsed by Age UK, Parkinson’s UK, the Spinal Injuries Association and EAC FirstStop. Beacon understands that your privacy is important to you and that you care about how your personal data is used. We respect and value the privacy of all of our clients and will only collect and use personal data in ways that are described in our policies, and in a way that is consistent with our obligations and your rights under the law. For full information about how Beacon stores and processes your data, please read our General Privacy Notice.